'Get Digital' is for marketers and other professionals who are coming to terms with digital and web technologies. It offers answers to the challenges experienced marketers and professionals face in enabling digital customer experiences. The Digital Marketing Show takes place in London's Excel Exhibition and Conference Centre in November every year. The Digital Marketing Show event is content rich with over 150 presentations from experts and digital practitioners. 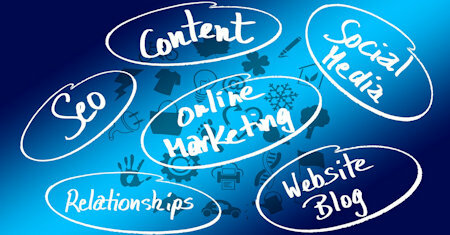 Planning your Internet marketing strategy does not have to be a difficult task. This textbook will teach you the basics of how to craft your Internet marketing strategy to maximum effect, from website building to web analytics. In this textbook we will cover the essential topics that make up Internet Marketing as an activity -- where the internet has been and where it is today and it describes what all of the main marketing activities are online. This little book about small business website optimisation covers: what search engines want, elements of good SEO, website optimization, effective web pages, linking and navigation, getting links, content and how to create it.